Looking back at our discussion of Vistalite kits a couple of months ago, I touched on one of the lesser know American drum manufacturers, Fibes. Bob Grauso was the drummer for Connie Francis, a top-selling female pop artists, and when he wasn’t on the bandstand, Grauso would experiment with new shell materials to try to make a better sounding snare drum. 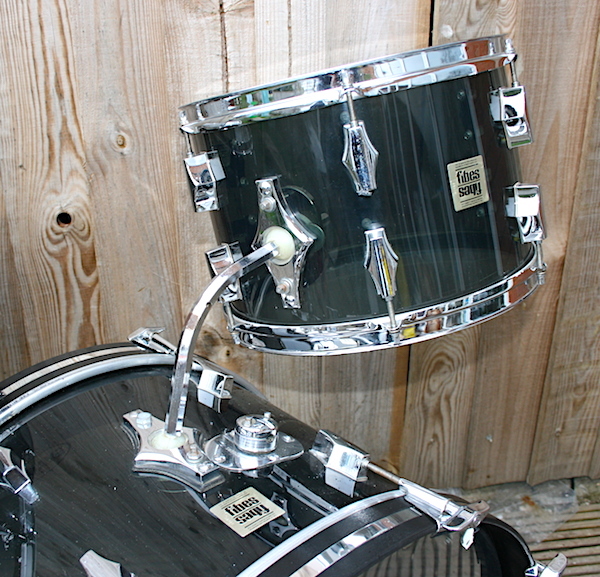 At the suggestion of legendary drummer and educator Sonny Igoe, Grauso made a fiberglass shell snare drum, and found that it produced a very brilliant, crisp sound. 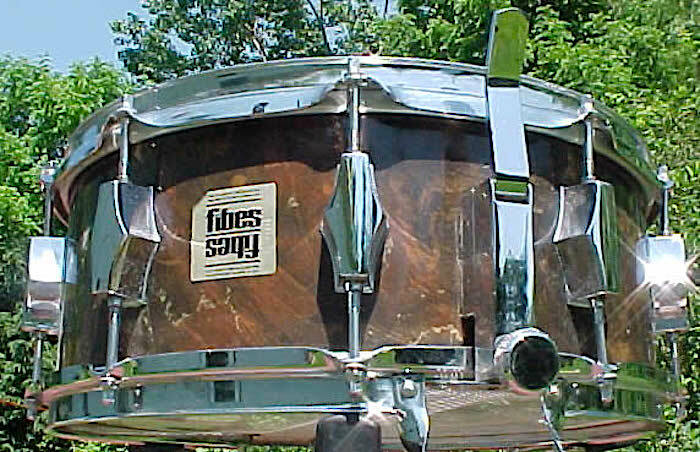 Partnering with John Morena, an aspiring chemical engineer and former drummer, Grauso founded the Fibes Drum Company in 1965, and began producing fiberglass drums. 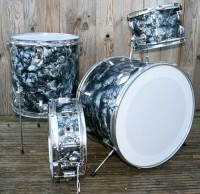 Although not the first to patent acrylic drums shells – Zickos did this in the late 1950’s – Bob and John were the first to successfully market acrylic snares and kits. 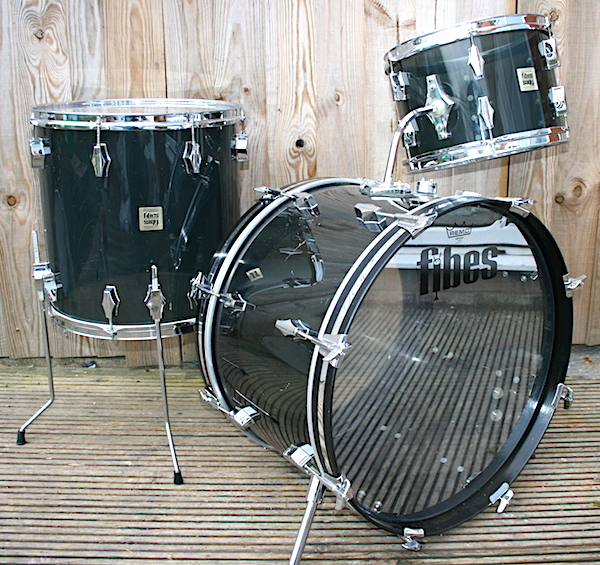 The Fibes drum company, conceived form the words ‘fiberglass’ and ‘vibes’ unveiled a product they deemed to be stronger than steel and lighter than wood. 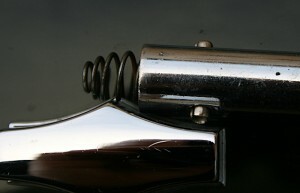 The tonal response of each shells (size for size) was reputedly identical and the internal vibratory response was superior, achieving a far greater sound than traditional materials. 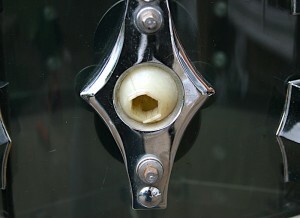 The company manufacture acrylic shells in varying colours and finishes, and even offered chrome laminated acrylic. 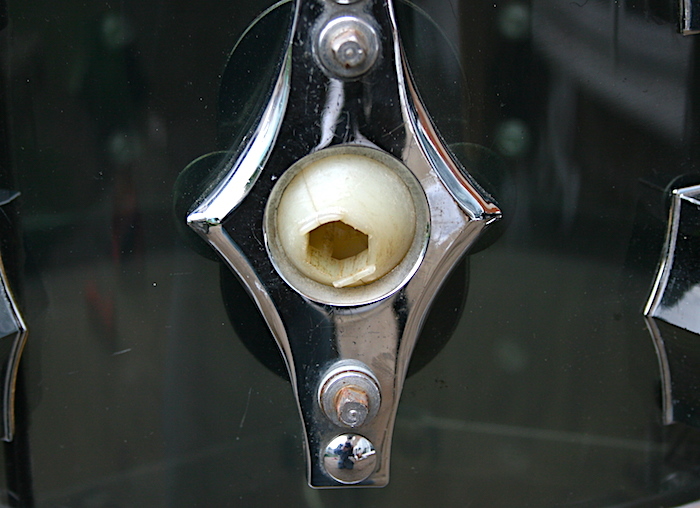 Amongst the artists who used Fibes was Buddy Rich. 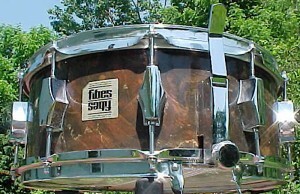 Fibes made Buddy a chrome wrapped set in 1966 which was used for approximately a year, but Buddy used his Fibes snare alongside many of his later endorsements. Other noted endorses included Alan Dawson and Billy Cobham. Despite their notoriety and favour with certain artists, other drum companies (namely Ludwig) soon jumped on the acrylic drum game and Fibes’ days were numbered. They were bought out by Martin Guitars, where upon the tooling and machinery were sold off, bought up and later reappeared as Corder Drums. 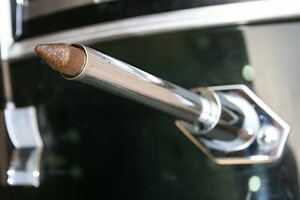 Fibes drums not only featured pioneering shells, but ball and socket tom mountings which had the balls and sockets on both ends of the tom arms, and sprung loaded bass drum spurs. 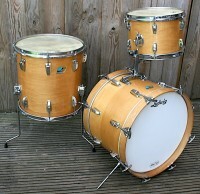 Whilst always on the search for snares, we are lucky enough to have an early 70’s Coda series kit in stock currently and can confirm they are amazing drums.